A wide range of luxurious massages are offered, including Swedish, aromatherapy, lymphatic drainage, pre-natal, neuromuscular / deep tissue, and Geejam's own tropical touch. Facials are performed using daily fresh ingredients - to suit each individual skin type. Aside from a sensual massage, indulge yourself with an aromatherapy manicure & pedicure. The fitness facility features free weights, a punching bag, a treadmill and yoga mats. 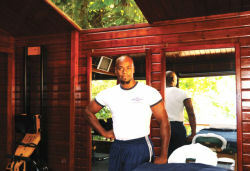 Neil, a personal strength trainer, who specializes in stretch therapy, is available on call. 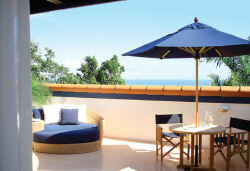 A complimentary stretch session is offered to all guests staying 3 nights or more, upon arrival.